We are teaming up with Bailing Out Benji once again! This time we are raising funds together to continue the ongoing rescue efforts that are always ongoing. We are calling this effort “Dogs Against Puppy Mills.” We hope you will help us meet our goal and in turn these funds will help many dogs escape a life of continuous breeding or get out of a high kill shelter. Check out all the choices you have! We are offering t-shirts, hoodies, and tote bags in a variety of colors. 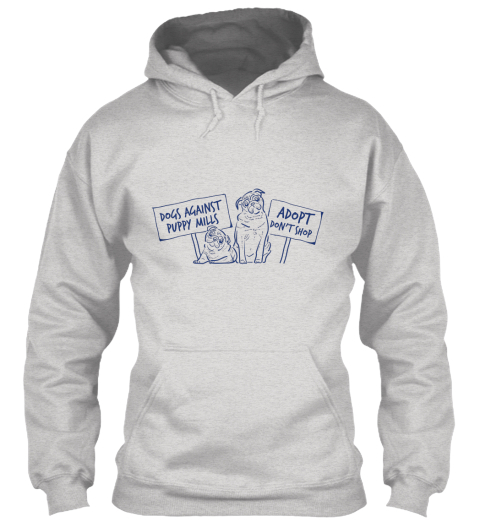 You will be supporting Pug Partners and Bailing Out Benji! You only have until 9/23 so get those orders placed!